£20 deposit per person to book and balance to be paid 10 days before the trip date. Maximum of 30 people on any day. We do take both Individuals and groups! River Orchy White Water Rafting. If you are considering the Orchy river trip we advise speaking to us before booking. 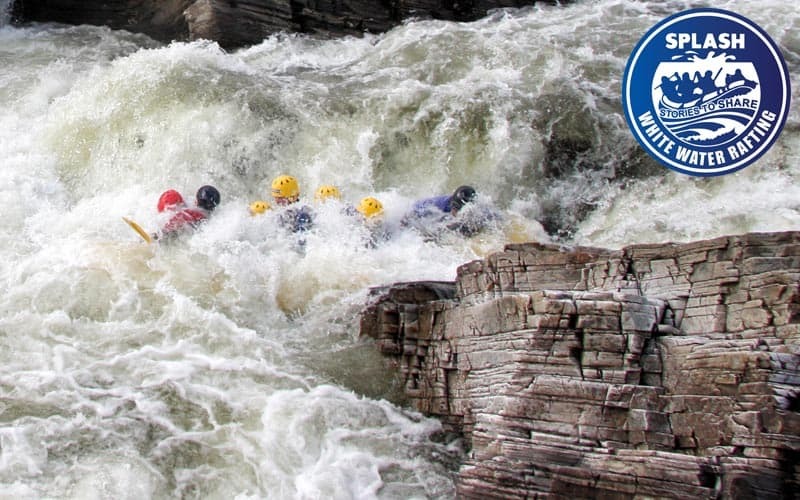 This white water rafting trip when in condition, is the best rafting river in the UK. However, it is a very serious undertaking. We insist on speaking to all potential clients before booking this trip. This is to ensure you fully understand what rafting the River Orchy involves! 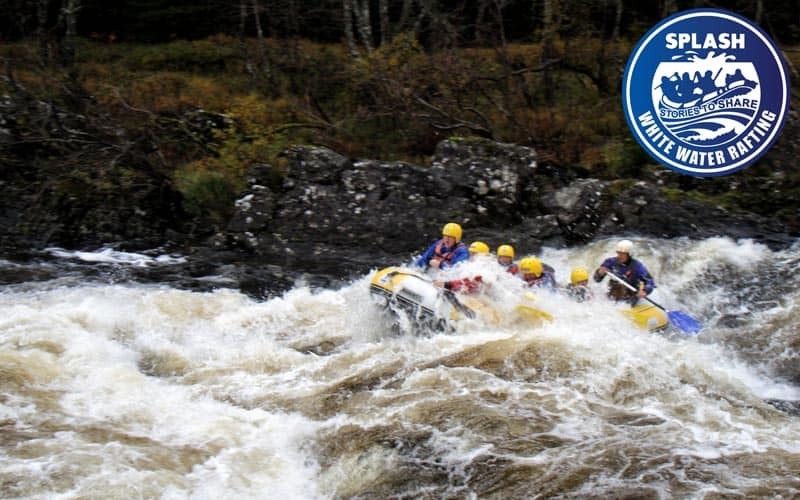 The River Orchy White White Water Rafting trip is a Grade 3 to 5 River Rafting Experience, grade 5 being the very highest class of commercial rafting available. Situated in the heart of the Grampian mountains, in Argyll, tucked away from the hustle and bustle of city life, lies Glen Orchy. This is a tranquil little glen, dotted with a couple of farms surrounded by steep, rugged mountains. It contains an exciting secret, for here lays the River Orchy. In the summer it is a gentle trickle, during the winter when the rains come this trickle grows into a raging torrent! This is rafting at its best! A ‘full-on’ alpine style river that has no respect for anyone daring to travel along it’s twisting path. 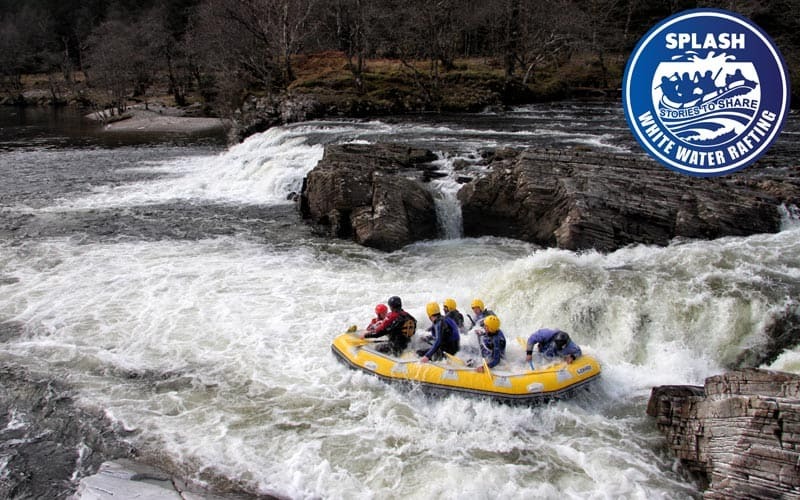 We at Splash have pioneered regular descents, both in high water and normal flows, down what is regarded as the UK’s best whitewater rafting river. 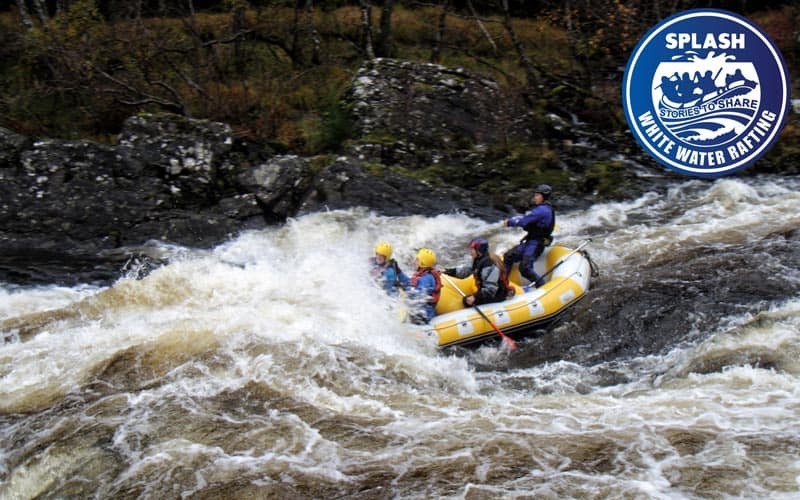 We have probably run more trips on the Orchy than all the other rafting companies put together! If you are looking for the most challenging, exciting and pure adrenaline-fueled whitewater rafting experience then this is for you! 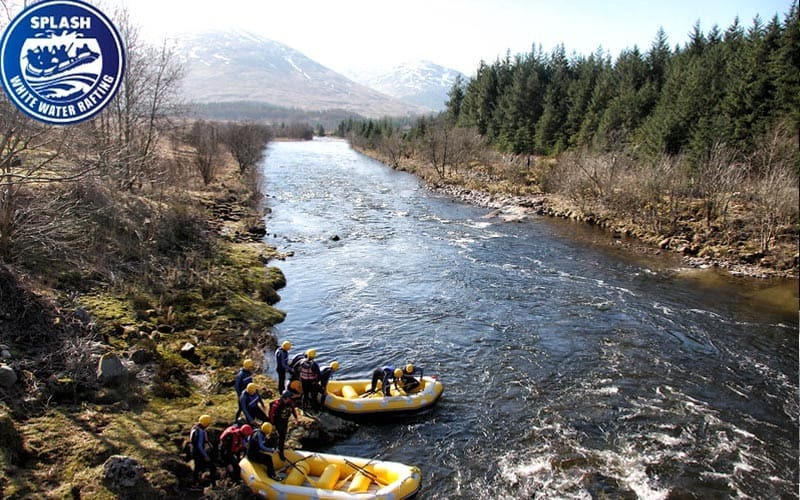 River Orchy White Water Rafting is a day trip, where we cover ten miles of the river. We run through nine major grade 3, 4 and 5 rapids. Anyone wishing to raft this river must be able to mobilise at short notice to take advantage of the best possible conditions ie heavy rain in the catchment area surrounding Glen Orchy. This is not a river for the faint of heart, raft if you dare!! This trip is recommended for individuals and groups who have rafted before or are water sports and adventure enthusiasts. Strictly 18 years plus. Please check suitability with our office before booking this trip! The river Orchy is a rain fed pool drop river, therefore it needs rain to be in condition to raft. We will make every attempt to raft the river if conditions allow. If it is deemed too low to raft we will do a day of other adventure activities of your choice. We try to make the Last 2 weekends in January and every weekend in February and March, as it tends to rain a lot during this period of the year. 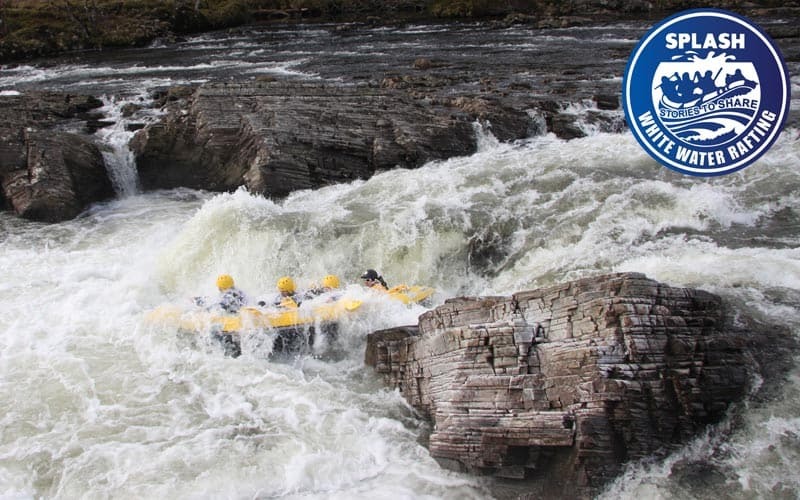 How the River Orchy White Water Rafting trip experience is run, each Raft will have a qualified River Guide experienced on the Orchy and other grade 4 and 5 rivers. There will also be a safety kayaker on the river. The trip also has a safety vehicle and a photographer that follows the trip. Please watch this video of a River Orchy Rafting trip in full river conditions to understand the level of commitment required. If winter white water rafting is a bit full on and it is! 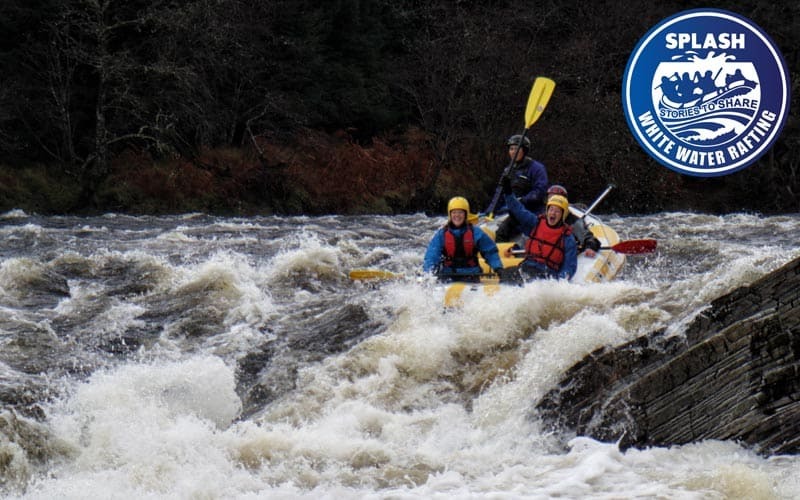 During the summer months in Scotland, we run the River Tummel White Water Rafting. This is the best summer whitewater rafting river in the UK. You will be provided with everything you need to raft safely on the River Orchy. However we do ask you to bring an old pair of shoes to wear on the river (These will get wet), and your swimwear for underneath your wetsuit. Optional – a non-cotton T-shirt (synthetic materials are best ) for under your wetsuit. Finally some warm clothing for before and after your trip. However, depending on your arrangements at booking, most will be meeting at Splash HQ or if you have accommodation we can arrange the pick up location. Please call Splash HQ to confirm details etc.